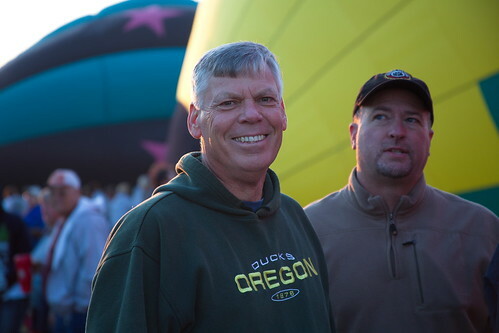 Ed the Balloon Man, a photo by The Bacher Family on Flickr. Ladies and gentlemen, your crew for today includes Ed Lenderman, retired high school calculus teacher, long-time friend, and all-around great guy. 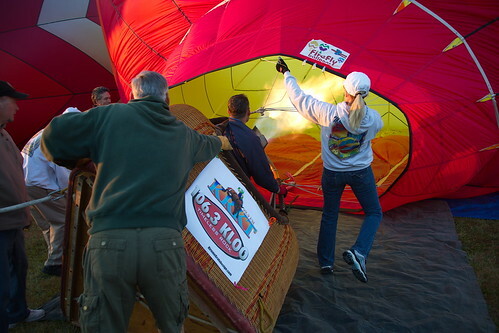 Here he is, pausing in his duties, at the sunrise balloon liftoff at the Albany Art and Air Festival, surrounded by the bright colors and soft light of dawn.